Thales Alenia Space has won a 2017 Better Satellite World Awards for their MEOLUT Next solution. This award was given by Space & Satellite Professionals International (SSPI) at London’s prestigious One Whitehall Place, the aim of which is to reward established companies and disruptive innovators for making this world a more prosperous, healthier, better-educated, more sustainable and inclusive home for all humankind. 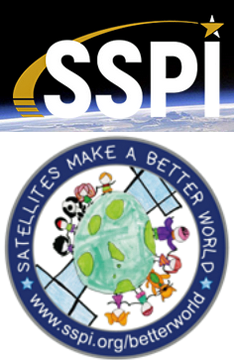 According to SSPI, recipients for the Better Satellite World Awards were evaluated in three categories. These were global or regional impact; distribution of knowledge for the improvement of living standards; and governance and commerce. The selection of the recipients for the Better Satellite World Awards was made by an international jury consisting of a broad cross-section of industry thought leaders and distinguished professionals. MEOLUT Next is Thales Alenia Space’s newest contribution to satellite search and rescue efforts to save more lives. After being commissioned in August 2016, MEOLUT Next started operation on December 13 of that year, as the world’s first spaceborne Search & Rescue system of this type and is now fully operational and integrated in the Cospas-Sarsat system. Conventional MEOLUT systems, each fitted with six large parabolic antennas in an area about the size of a football field, are capable of receiving signals from six satellites (one per antenna). 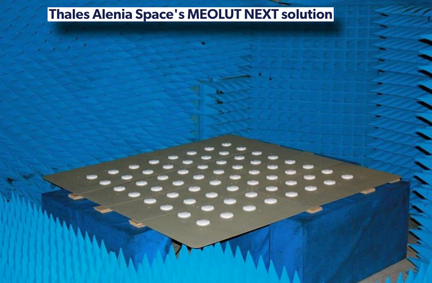 Thales Alenia Space's MEOLUT Next solution, with its small antennas located in less than 6 square meters, tracks up to 30 satellites, thus significantly enhancing the distress beacon detection rate, while also expanding the coverage zone. 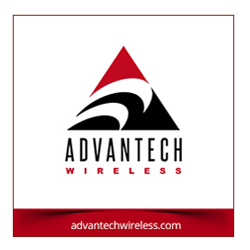 Furthermore, as there are no mechanical components in these antennas, hardware maintenance costs are the lowest on the market. These 2 meter compact phased array antennas comprising 64 patches and fitted with a high performance RF (radio frequency) unit, may be deployed on a rooftop without the need for additional heavy infrastructure. The MEOLUT Next is stationary and requires no electric motors to run, allowing it to operate with minimal maintenance. It is capable of tracking signals from all MEO satellites within view of it, allowing it to detect distress signals from up to 5,000 km away. In July of 2017, a MEOLUT Next antenna picked up the distress beacon of a small sailing boat off the coast of Sardinia, well outside of VHF radio and other communication ranges. Within a stunning five minutes, the MEOLUT Next’s signal bursts had pinpointed the boat’s location well enough for rescue crews to save its three passengers over the next few hours. Philippe Larhantec, MEOLUT Next product line manager at Thales Alenia Space stated that the company believes in space as humankind’s new horizon, which will enable to build a better, more sustainable life on Earth. Saving lives is totally integrated in the company’s aspiration and demonstrated by the firm's participation in the Search and Rescue services offered by Cospas-Sarsat. This is a momentous award for MEOLUT Next, which has already proved its operational efficiency and the wonderful story of technology’s contribution to life on Earth. COSPAS/SARSAT is an intergovernmental organization founded by Canada, the United States, Russia and France. In operation since 1985, it provides a free global Search & Rescue service, using the infrastructures from 43 countries worldwide. French space agency CNES is the official French representative for this organization. Today, some 500,000 ships and 150,000 aircraft are equipped with COSPAS/SARSAT distress beacons, allowing them to use this service. The service has saved more than 37,000 lives since the outset.